A Fellow of Chartered Accountants Ireland, David was appointed a partner of RBK in 2000 and became Managing Partner in February 2016. David has over 30 years experience providing business support services and advices to domestic and international businesses helping them achieve their strategic goals and objectives. David also specialises in insolvency and corporate restructuring. 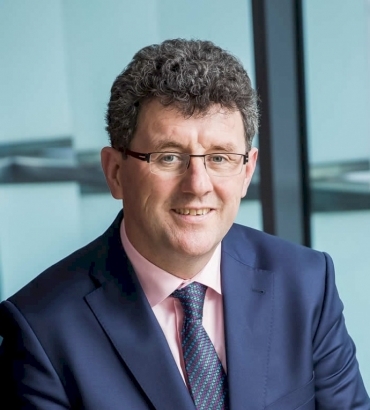 He is a member of the Irish Society of Insolvency Practitioners (ISIP) and the European Insolvency Practitioners Association (INSOL Europe). He has acted as Examiner, Liquidator and Receiver for companies in many sectors and he is skilled in the turnaround and restructuring of financially distressed businesses. Over the last number of years, RBK’s resources, capabilities and client base have grown significantly. David oversees continuous investment in our leadership and team development. Today, RBK is Ireland’s largest independently branded firm providing audit, accounting, taxation and business advisory services.